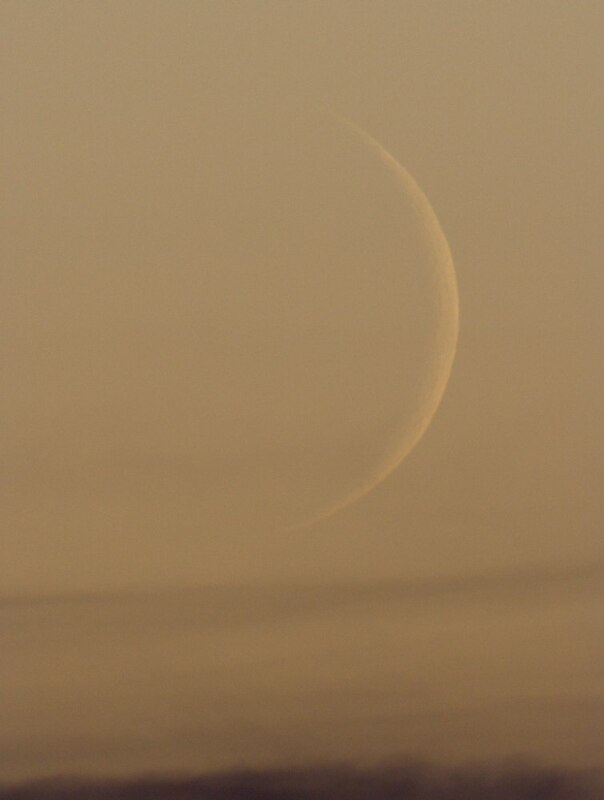 The young crescent could not be observed on 19.10.2009, due to clouds near the horizon and the extremely short lag time of just 6 minutes. 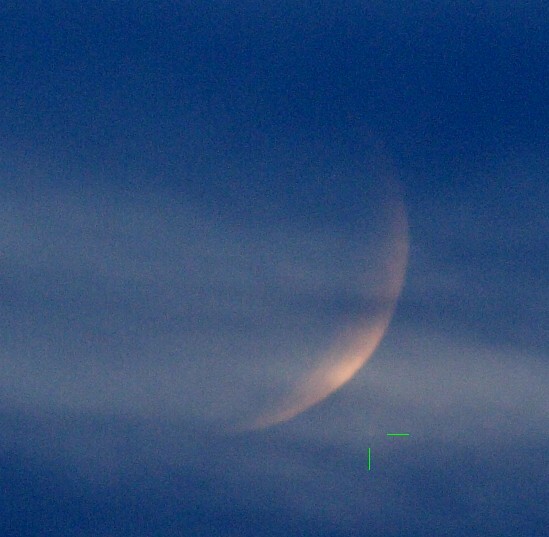 The crescent was easily seen on 20.10.2009, despite the low altitude. The sky was quite transparent with the cold weather. Alle images were taken with a Canon 350D through a small telescope. Crescent on 20. 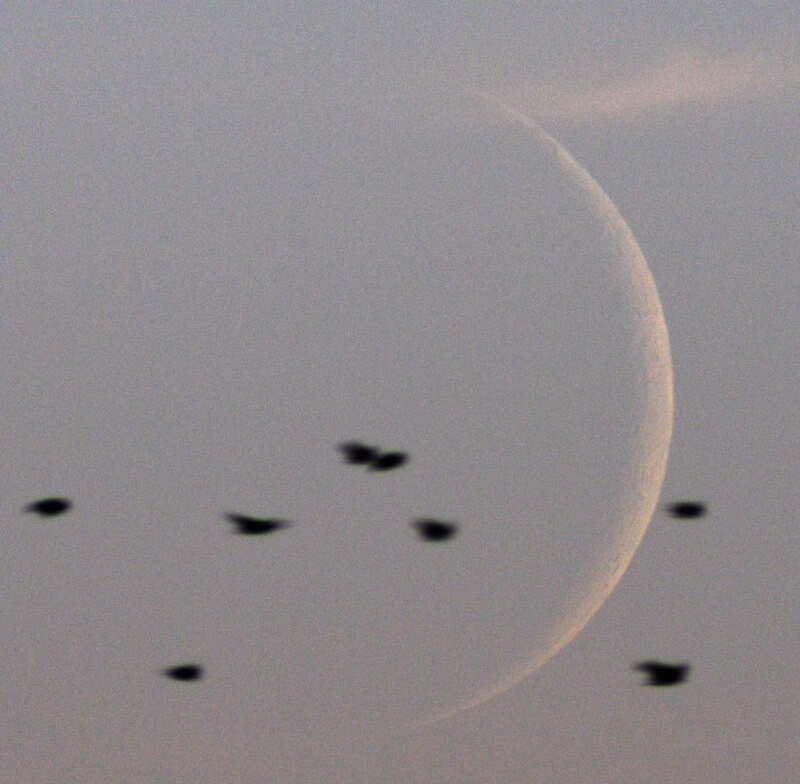 Oktober, some birds in the foreground, around sunset. Crescent on 20. Oktober, after sunset. The bright star Antares was occulted by the young moon on 21. Oktober. Due to very bad weather only a very bad image could be captured, using a DSLR and a 300mm lens. Antares and moon at 18:38 (UT+2), east of munich.